Are you an established, high-growth SME ready to take your business to the next level of growth? If so, you’ve probably spent a significant amount of time considering your funding options. If you’re anything like us, you believe that securing funding to grow your business shouldn’t require that you sacrifice equity or control. Young companies that have yet to break into profitability or have only been profitable for a few years often struggle to secure bank funding, even if they have excellent growth prospects. But your growth funding journey needn’t end there. Venture debt provides loans to businesses earlier, and in larger amounts, than the banking sector. It offers an attractive alternative to equity finance in that it is non-dilutive and takes less time to secure. It is a form of funding that is best suited to businesses with an established business model, and that are already generating significant revenues. Very often, these businesses would otherwise have to consider raising equity finance, potentially diluting the ownership rights of their founders and leaders – possibly even ceding control to investors. BOOST&Co has been making venture debt and growth capital loans to exciting, high-growth businesses since its launch six years ago – we’ve already worked with more than 500 high-tech and innovative businesses seeking funding to move their enterprises forward. We’ve worked with a range of businesses raising venture debt for a variety of different reasons: to bridge the gap to break-even, to extend the runway before an equity round, for M&A, working capital, or to roll-out new sites. Here are just four examples of companies we’ve helped to grow. Vizolution is a UK-based software-as-a-service (SaaS) business offering omni-channel, digital solutions that streamline the customer journey for large contact centres. In a fast-growing marketplace, its software is powering the customer support of a number of prominent organisations in banking, financial services and telecoms. Clients include HSBC, RBS, Santander, Legal & General, EE and O2. BOOST&Co provided Vizolution with £1.5m of venture debt, giving the company the financial firepower it needed to accelerate its international growth and strengthen its development team. Another UK-based SaaS business, idio analyses customers’ digital content consumption to help the business target its marketing and sales activity with far greater precision. idio’s software is based on the premise that customers’ reading behaviour provides a constant stream of intelligence about their interests and influences. Businesses able to harness this insight are far better placed to engage with prospective customers and build value-enhancing relationships. BOOST&Co provided idio with £1.25m of venture debt, enabling the company to increase its investment and manpower in its core markets in the UK and US. UK-based SaaS company, Triptease, builds smart digital tools that help its customers to increase direct bookings on hotel websites. It offers solutions that improve the customer journey for hotels looking to secure direct bookings, in an industry where online travel agents have taken an increasingly large share of the market. BOOST&Co provided Triptease with £1m of venture debt to enable the company to expand its team, increase investment in sales and marketing, and further develop its product portfolio. Bowman is a world leader in advanced exhaust energy, designing and manufacturing waste heat recovery systems for large diesel engines. This enables engines to secure energy efficiencies of up to 10% and the company has won a series of large contracts with tier-1 manufacturers. BOOST&Co provided Bowman with £3m of venture debt, providing the business with invaluable working capital as its growth accelerated. 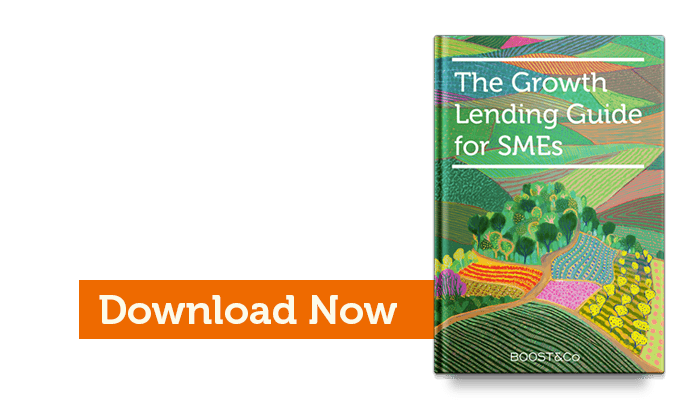 If a venture debt loan could be right for your business, download The Growth Lending Guide to learn more and discover how Growth Capital can help your business growth without equity-loss.